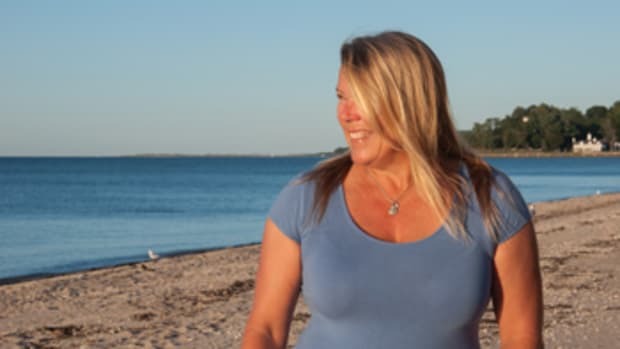 Elizabeth (Tiedemann) duPont got her first taste of the sea while in her early 20s off Newport, Rhode Island, watching the final race of the 1983 America’s Cup from an 85-foot spectator boat. 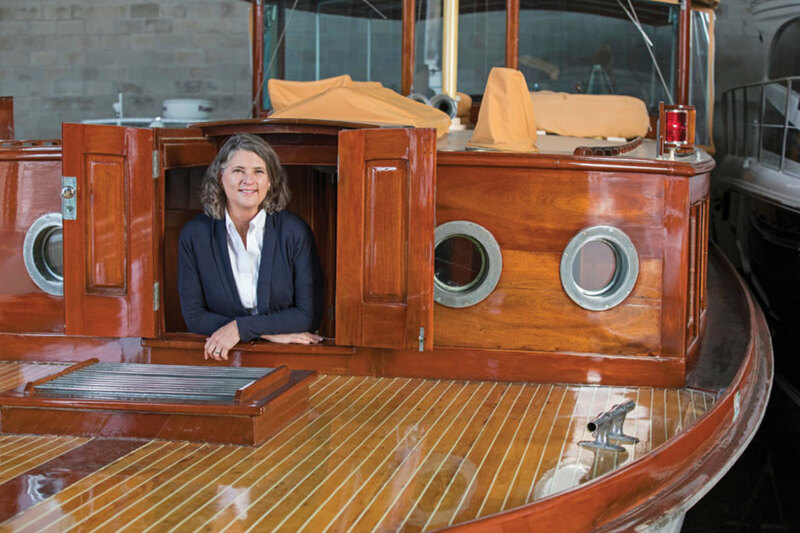 Today she’s the owner of Seascope Yacht Charters and the caretaker of a fleet of five wooden vessels, including the historic 12 Meters Gleam and Northern Light. DuPont started in the charter business after leaving a hotel career to work as a mate for Seascope aboard the 12 Meter Gleam. Here she met her future husband Bob Tiedemann, who had formed the charter business after buying Gleam in 1975. 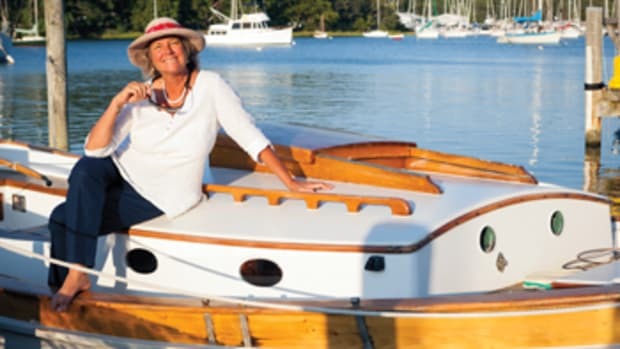 The couple worked together for a few years, restoring a 62-foot wooden commuter yacht named Pam before tying the knot in 1994. They continued to grow the business, specializing in team-building activities aboard the 12 Meters while adding a 40-foot double-ended launch named Fawan to the fleet. 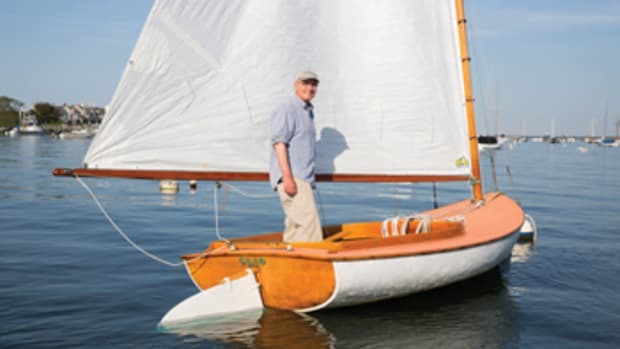 Bob died of pancreatic cancer in 2006, which left Tiedemann at the helm of Seascope and its classics. Today duPont and her husband, Lane, work hard to keep the fleet well-maintained and Coast Guard-compliant for charter. She says it has been a challenge during the past 11 years, and she hopes to find new caretakers for this special fleet. 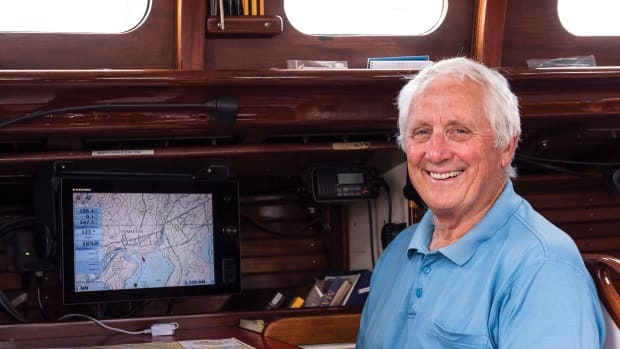 First memory of being on a boat: Growing up in the farm areas of South Jersey, we weren’t exposed to sailing in open water. However, I remember canoeing with my three brothers in the local creek about the age of 6. In my early 20s, after moving to Newport, I had the unforgettable experience of watching the final race of the America’s Cup in 1983 aboard an 85-foot powerboat. 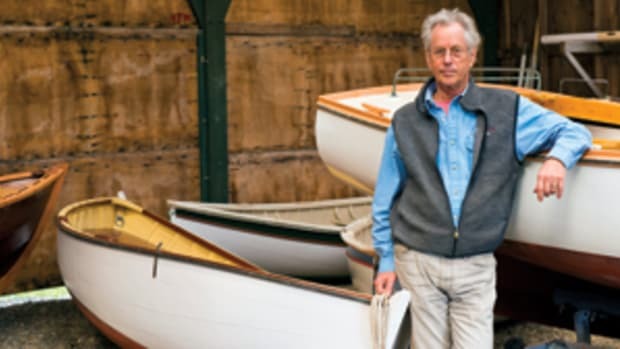 First boat you owned (or skippered): I met my late husband Bob in 1991, and we worked together on the water and in the boatyard for 15 years. 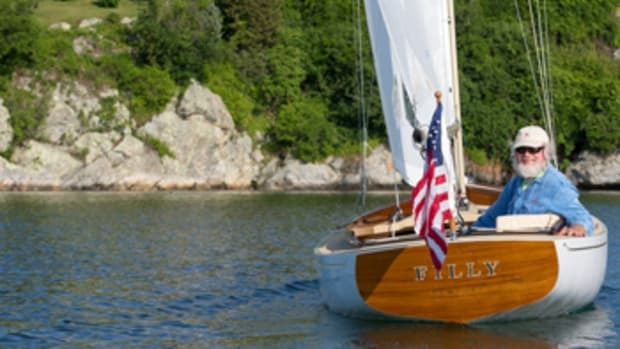 In May 2006, with his passing, I inherited the fleet of wooden boats consisting of the prewar 12 Meters Gleam and Northern Light; a vintage 62-foot commuter yacht, Pam; a 54-foot classic Alden yawl, Mariner; an historic 40-foot glass cabin launch, Fawan; and a vintage unrestored Lawley-built powerboat, L’Allegro. With only charter income and some dedicated souls, it has been a financial challenge keeping the fleet in good condition, structurally sound and Coast Guard-compliant. Last or current boat (owned or skippered): Perhaps I am a glutton for punishment! Last summer, my husband, Lane, and I bought a 32-foot Wasque, which was built in 1974. She is fiberglass with no brightwork (phew), and we named her Zig Zag. Favorite boat you’ve owned (or skippered): Many of our charter guests have asked me that question over the last 27 years. My answer is to ask if they have children. If they do, I ask which child is their favorite? Your dream boat (to own or skipper): My dreams have come true, and now the yachts in the Tiedemann collection are ready to make someone else’s dream a reality. Most rewarding sailing experience: Sailing Gleam in the Solent for the Cowes Jubilee in 2001, followed by the “Grand Tour” in the Mediterranean. We competed in Porto Cervo, Monaco, Cannes and St. Tropez with the other prewar 12 Meters — truly the highlight of my sailing career. Scariest adventure aboard: Sailing Gleam from Edgartown, Massachusetts, to Nantucket for the Opera House Cup at night in extreme conditions — 40-plus-knot gusts, big seas, low freeboard and only three people aboard. It took more than six hours, and the charterer was about to call the Coast Guard when we arrived hours later than expected. Most memorable experience aboard: Sailing in Europe for two and a half months in 2001. However, in 2008, winning the Newport Cup aboard Northern Light with Capt. Kyle Dufur and crew with seven first-place finishes was spectacular, indeed. Longest you’ve been at sea without setting foot on land: Probably just two days during one of the tall ship events along the East Coast. With the day-charter business, we mostly offer half- and full-day outings in Narragansett Bay. Favorite destination so far: St. Tropez, France. I have had the great pleasure of racing aboard Gleam and other classic yachts in more than six regattas over 20 years. Favorite nautical book: Atlantic: The Last Great Race of Princes, by Scott Cookman. 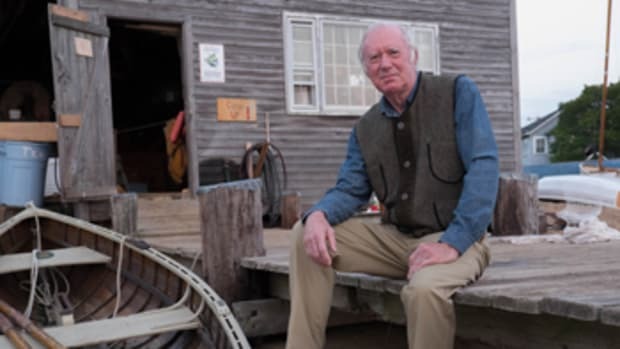 Favorite nautical cause you support and why: Sail Newport (sailnewport.org). Kim Cooper and Brad Read run an amazing operation. They make it possible for beginners and youth to learn how to sail, run a world-class event such as the Volvo Ocean Race and provide professional race committees for the many local and international regattas.